The undisputed research on “summer slide,” the concept of students forgetting what they have learned or students slipping out of practice during the summer months, has been available for years, but practical advice for parents on how to combat it has been slow in coming. So here’s what parents should know and what they can do. There is no neutral gear in young minds; there’s only forward and reverse. If kids aren’t gaining knowledge during the summer, they’re losing it. Summer slide is the exponential loss of knowledge that causes students to fall behind in school. Kids can lose two months of knowledge over a summer and, without intervention, the effect is cumulative. For example, if children end third grade on a reading level of 3.0, they are on grade level and everything is fine. Over the summer, however, they can slide to 2.8, losing two months of proficiency. Beginning grade 4 on a 2.8 level and progressing a full year only brings them up to 3.8 in June, and then, they slide again over the summer, beginning grade 5 on a 3.6 level. If the cycle continues, they never catch up and will begin high school at 6.8, a deficiency that will most likely cause lower GPAs, failing marks on yearly assessments, and poor scores on standardized tests like the SAT and ACT. Read with your child, but be careful what you choose: Select a book that is on a higher grade level than your child has achieved but not so high that it is too difficult to read. Then buy two copies for both of you to read and talk about. Be careful not to choose a book that is at or below the reading level of your child. If you do, the book will be a great source of entertainment but will NOT do anything to stop summer slide or advance reading proficiency. 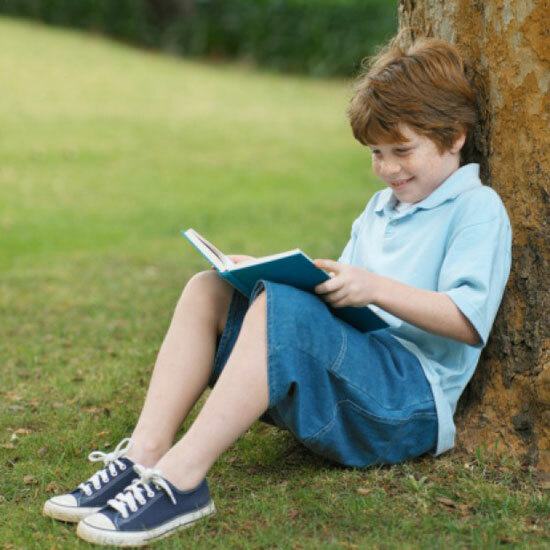 When your child reads, he or she should come across new vocabulary words and sentences that are complex enough to require a re-reading of them before going on. If a book has no new vocabulary words or complex syntax, it is not improving a reader’s basic skills. Beware of popular books like Harry Potter which is a great story but is assessed on a grade 5 reading level by the new common core standards recently adopted by 46 states and the District of Columbia. Watch movies: You can also watch dialogue-based movies with your children such as Lincoln and talk about the vocabulary it uses like feckless, ossified and fatuous. Then follow up by using the words with your kids and trying to get them to use the words too. Choose a summer camp: Attending a summer camp is a great way to prevent summer slide if you choose the right one. Academic camps like computer camps, math camps, and drama camps are best for educational growth. Many traditionally oriented camps with mostly outdoor activities are now incorporating an academic component into their daily schedule of activities. This is something all parents should check for. For parents of high school students: If you are the parents of high schoolers, you face a greater challenge since your kids have outgrown camp. However, there are things you can do that will be a great help to them. Enrichment courses are the best kept secret among over-achievers. These are courses kids take over the summer at a private school before they take them again during the fall at their regular school. For instance, if future tenth graders will be taking algebra and biology during their sophomore year, they take these courses over the summer, so when they take them again in the fall, they are already at the head of their classes. A single course on subjects such as math, science, or basic skills is not enough, so students need to consider taking additional classes or lessons on these topics. Prepare for the content areas of the SAT and ACT: Prepping for standardized tests over the summer teaches students what they need to know for the tests so test preparation won’t interfere with school assignments during the fall. If teenagers wait until right before they take the tests to prepare, they won’t have the time needed to learn everything they need to know, especially the hundreds of vocabulary words required for high scores. A cache of high level words is the only content they need to know for the reading section of the SAT test, but schools don’t have the time or expertise to teach lists of words. If kids can learn them on their own over the summer from a fun, interactive game, they will not only stop summer slide but give themselves a big boost in their SAT and ACT scores. Whether you choose to work with your children, send them to an educational camp, or help them log on to a good computer program, ensure you do something that will continue the learning process over the summer months. Remember, if students are not advancing, they are sliding backwards. Jeanne Clements is founder and creator of United States patented, breakthrough learning vocabulary system and interactive game, Verbal Education, which is the only game to effectively help individuals commit SAT and ACT vocabulary words to memory in a speedy and interactive way. While teaching SAT prep classes, Clements realized the need for better vocabulary testing methods. Clements’ created and perfected the Verbal Education system over a five year period spent identifying the 400 most frequently used SAT and ACT testing words and then attaching mnemonics to each word in order to easily recall definitions.